Set in the incredibly picturesque area of South Tyrol in Italy, Santa Cristina has emerged as one of the leading ski resorts in the area for visitors looking for a cosy, hospitable and picturesque winter holiday. Santa Cristina lies on the sunny side of the famous Val Gardena region between Selva and Ortisei. Santa Cristina and Selva are practically joined together to make up the largest resort on the Sella Ronda circuit, with 175km of runs. With a fantastic mix of ski runs and activities to choose from, it is easy for visitors to make the most of this incredible resort. Try the variety of beginner, intermediate or expert runs, or take on the high altitude skiing challenges across the area. While many of the neighbouring resorts are livelier, Santa Cristina thrives off its reputation as a quieter, tranquil area where visitors can focus on relaxation when they are away from the slopes. The ski season takes place from December to April, with all of the runs being immaculately maintained to guarantee the best possible surface for visitors. The Dolomites and Sella Ronda are both easily accessible from Santa Cristina. We can’t say enough about the former either, with 1,220km of irresistible slopes that are perfect for a variety of different ability levels. It is almost impossible to explore all of the runs, meaning you will be back time and time again to work on your skills and move up the learning curve in one of Europe’s most breathtaking landscapes. Similarly, Sella Ronda is an unforgettable experience, though it should be reserved only for the most advanced visitors. 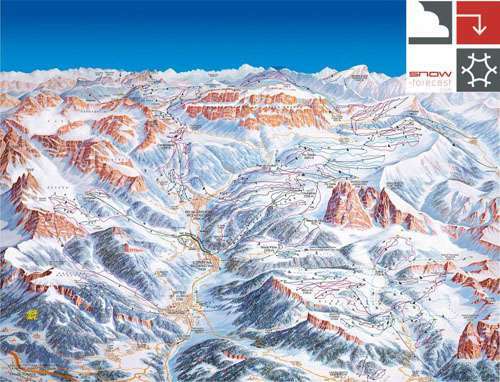 The circular ski route provides roughly 26km of downhill trails, ensuring a fast-paced ski experience. Santa Cristina is somewhat spread out and does not have much of a town centre. 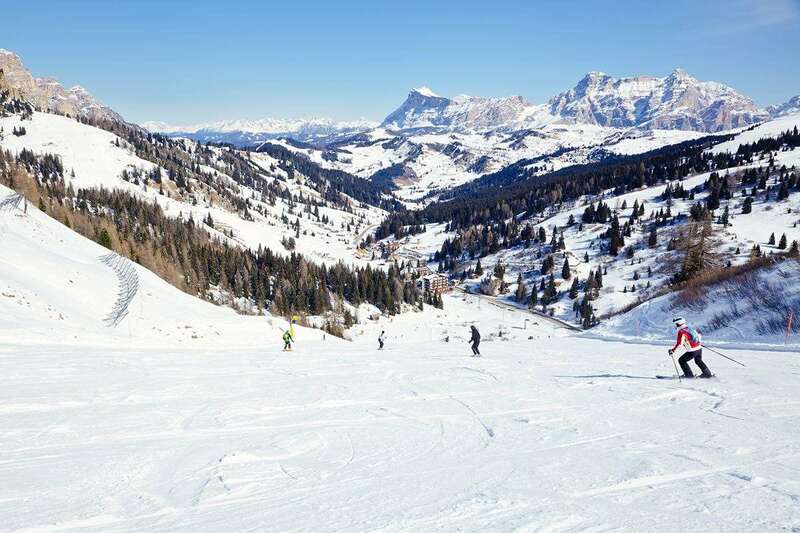 Therefore, if après ski is a priority, it may be beneficial to stay in the neighboring towns of Ortisei or Selva. However, for those looking for a quieter weekend break with good skiing, Santa Cristina will be ideal for you. While the atmosphere in Santa Cristina is considerably laid-back, it doesn’t mean visitors are left without anything to do. The fantastic Ortisei village is nearby, where visitors can relax in a selection of amazing bars and restaurants. Siglu Bar Cavallino Bianco could be at the top of the list. Shaped like an Igloo, this apres ski hotspot is one of the most popular locations to visit in an evening, providing a number of excellent drinks and a marvelous atmosphere. When it comes to dinner, Pra Valentini should be your number one choice. This excellent eatery offers a delicious range of Italian dishes and has developed a great reputation among guests. The transfer from Verona airport is around 2 hours and 45 minutes.